A small pine antique Chinese chest from Ningbo made in the late 19th Century. 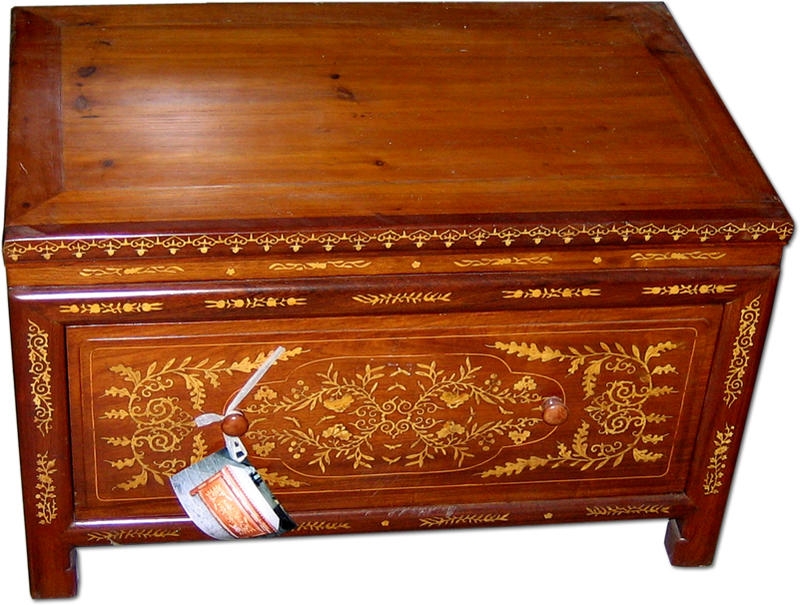 The front has delightful inlaid patterns, the main part being in dark mulberry wood with pale elm wood inlay. An intricate design beautifully created. It is a fine example showing beautiful workmanship. There is one deep drawer. This allows easy access to the drawer without moving items from the top. It was used for rice storage and is a most elegant rice-bin.